Farmers walks are one of the most effective and under-utilized exercises in the world. None of the major fitness magazines, blogs or YouTubers really talk about farmers walks. The reason is that most of them have no interest in helping you achieve the physique you actually want; they just care about pulling you in with gimmicks and then selling you their “secret workout plan” for $79.99 a pop. 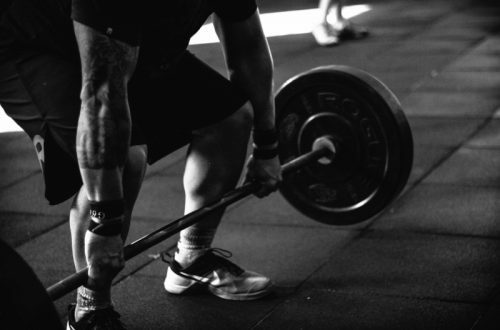 We can’t think of any other reason why so may people would completely overlook the farmers walk when programming strength training, either for themselves or for their clients. It is an incredible exercise and it should be practiced by people as regularly as possible. 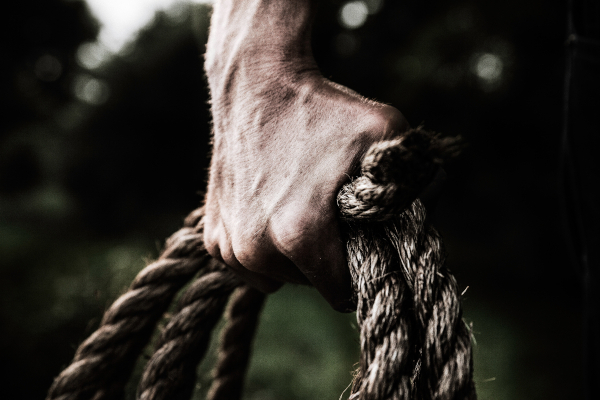 For one thing, farmers walks give you experience doing something that you probably rarely encounter in your everyday life – carrying heavy objects by hand for long distances. Our ancestors were clearly used to carrying heavy objects; otherwise, we wouldn’t have evolved the ability to do so! There must have been an adaptive advantage to being able to carry heavy objects by hand. Our bodies are capable of becoming extremely strong. Our grip, if trained, can be like steel, and we can carry very heavy loads without breaking a sweat…if we do it regularly. Most people only ever have to carry anything heavy once per year at most. So when it comes to it, they’re woefully incapable. Their hands hurt, their grip gives way, and they end up hurting their back. Farmers walks can make sure that you have the strength, the torso tension, and the grit to carry awkward, heavy weights by hand. But prepping for life is only one of the reasons why you should be doing farmers walks. It isn’t even the main reason. The main reason you should be doing farmers walks is because they build big, powerful-looking, lean, strong physiques. As we said above, we are biologically capable of carrying heavy loads. We can become extremely good at it actually. It’s clear that our ancestors found this useful enough to give them a breeding advantage. So our musculature is obviously going to respond to that kind of movement very well (just as it does for squatting and pressing overhead). If you work your way up to doing very heavy farmers walks, then you’ll realize that it is without questions a full-body movement. 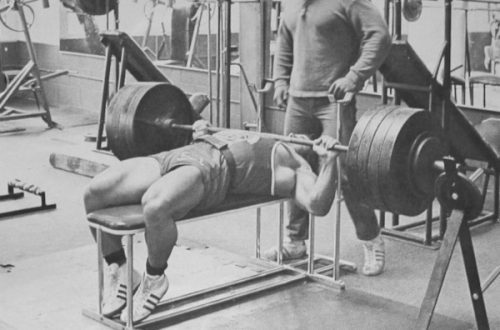 You’ll feel it in your legs, your back, your traps, and your arms. In terms of functional strength, you really can’t do much better than carrying two big, awkward, heavy weights from one point to another as fast as possible. Even if you live a idiosyncratic modern life, being able to shift weight from one point to another is only ever going to come in useful. Farmers walks are important, and they are effective, but they shouldn’t be the foundation of your training. As a low intensity full body movement, they can easily be slotted in either at the end or the beginning of your workouts. You really need to go by feel for this one. 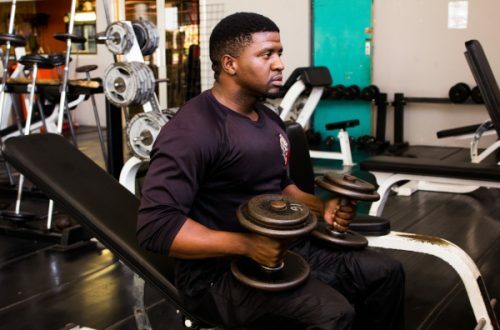 If you’ve done 3 laps and your forearms aren’t on fire, then the weight you’re using is too light. Similarly, if you aren’t even making it to the 10m mark, you’re using too much weight. Get a good feel for what you can do and then slowly work up from there. The focus should be on weight rather than distance. Everybody can carry a suitcase for a few hundred meters, so walking 100m with 20lb dumbbells isn’t really worth your time. Try starting as heavy as you can while still being able to do good distance for a good few sets. You could rotate farmers walks and shrugs to mix things up. It’s worth saying something about technique. You should start a farmers walk with the weights – dumbbells for most of you – next to your feet. Bend down and pick them up with bent knees and a straight back, not dissimilar to a conventional deadlift. Push out your chest, tighten your core, and walk. It will feel strange at first, because you’re not used to walking under load. But you’ll quickly get used to it. Farmers walks create a massive overall strain on your body. You wont notice a big change in your physique in the short term. But we promise that over the long-term farmers walks can build that dense, thick muscle that so many people today work hard to attain and never quite get.